During my peripatetic years pursuing the ultimate “TASTE OF WINE,” I have been privileged to immerse myself in some world-class places. Eye popping scenery abounds in such luminary spots like the “Chiantigiana” wine highway in Tuscany, the Loire Valley in France and the Silverado Trail in Napa Valley. These and a few other heavenly locations all have one thing in common — they provide a setting to help the wine experience be what it is, a romantic, naturally lovely, life enhancing experience. The De Portola Wine Trail, part of the larger wine country of Temecula, has the elements in place to someday be in the select company of other must-see rural wine districts. 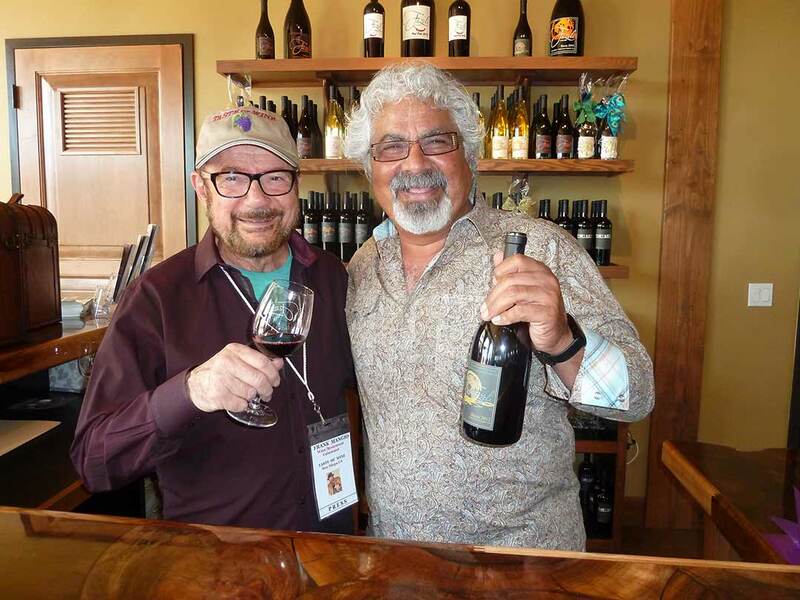 BJ Fazeli, a successful Orange County businessman with a passionate love of his Persian heritage and its history of wine, felt the urge to be a part of the De Portola Trail and nine years ago, purchased land for vineyards and a Persian style winery. He opened just a few months ago, making Fazeli the 10th winery on the trail. When you visit, try the 2012 Shiraz (same as Syrah) with its silky, black current with accented vanilla ($48.) See more at fazelicellars.com. Next to Fazeli on the De Portola Trail is Robert Renzoni Vineyards with predominantly Italian style wines that were featured in last week’s top eight great tastes for 2016. These wines are true to form with abundance of old world flavors. Robert especially spends a lot of time and energy on his blends, reflecting his family’s heritage along the Adriatic coast. Brunello, the elite Sangiovese clone from the south of Tuscany, plays a major role in the wines he produces. Learn more at robertrenzonivineyards.com. 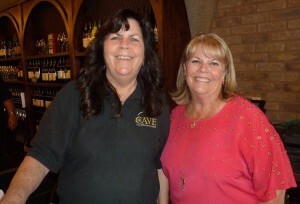 Our next stop was The Cave at Oak Mountain Winery and a visit with owner Valerie Andrews. It was with a sense of great pride that she explained that “Steve my husband and winemaker, did most all the custom design and creation of the 10,000 square foot cave, over 100 feet below ground with a 65 degree temperature and no air conditioning energy lost. “ Other energy saving techniques with water and lighting make this an environmental triumph. All wine barrels are stored in the Cave, and all banquets and food service are offered in the Cave. 6,500 cases were made last year, including small lots of sparking wine. All operations are family managed. The full story is at oakmountainwinery.com. I was happy to introduce Wendy Evers, the new executive director of program development at Cal State University in San Marcos, to the De Portola Trail wineries. She presented the new CSUSM Professional Certificate for Wine, Beer and Spirits Specialist program, which will allow adults to develop and strengthen their skills and pursue careers within these growing industries. It will be unique because classes will be held at the wineries, breweries and distilleries, with lectures and tastings. Each course is five weeks, three hours a day, one day a week. First class will be Foundations of Wine, Thursdays, June 2 to June 30. 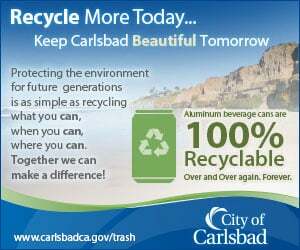 For more information on dates and locations, call (800) 500-9377, or visit csusm.edu. Twenty/20, at the Sheraton Hotel in Carlsbad, presents Tapas night starting April 7 from 5:30 to 8 p.m. Live Spanish guitarist. Tapas cooking on the terrace. 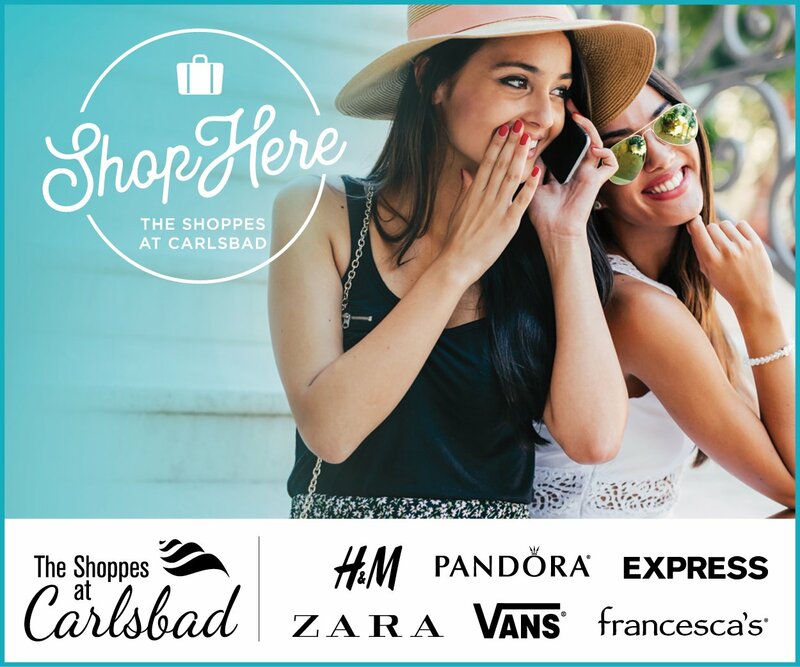 For more information call (760) 827-2500. Sbicca’s in Del Mar is planning a wine and food experience: comfort food and California classic wines, April 9 from 1 to 3:30 p.m. Multi-course pairings, served family style with five wines served; $75. Details at (858) 442-2749. The Rhone Valley, Provence and the French Riviera are explored at RELM Wine & Beer Bistro’s two “meetups” in Carlsbad, April 5 from 7 to 9 p.m. and April 23 from 4 to 6 p.m. Sommelier Dave Andersson will guide guests through paired tastings of the areas versus similar domestic wines. There will be a selection of cheeses and charcuterie, plus a travel discussion; $35. Pre-register at tamaraegolden@gmail.com.